Benelli, which has a vast portfolio of bikes lined up for the Indian market, has relaunched the TNT 300, 302 R and TNT 600i in India. The first two receive an introductory price of Rs 3.5 lakh and Rs 3.7 lakh, respectively. The TNT 600i, on the other hand, is priced at Rs 6.2 lakh (all prices, ex-showroom India). 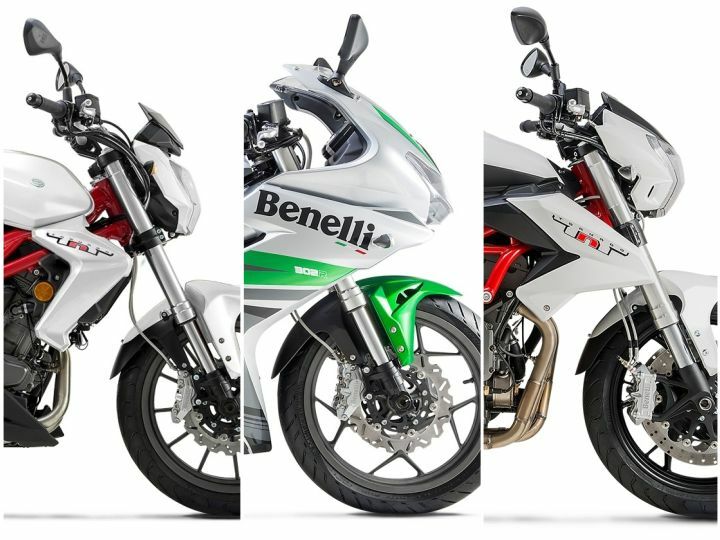 Additionally, Benelli India will also offer a 5-year unlimited kilometre warranty package as standard with its bikes. Bookings are officially underway across the country and customers can book either of the bikes for a token amount of Rs 10,000. Deliveries for the bikes are expected to commence from the second week of December in a phased manner. More good news comes in the form of two highly-anticipated bikes being launched in the first quarter of 2019 - the TRK 502 and TRK 502 X. According to Vikas Jhabakh, managing director of Benelli India, the manufacturer has revised service intervals from every 4000km or 4 months to 6000km or 6 months. This essentially cuts service costs by up to 34 per cent. The new service intervals will be applicable for both new and existing customers who own the TNT 25, TNT 300, 302 R, TNT 600i, TNT 600 GT, TNT 899 and TNT R.
If you don’t already know, Adishwar Auto Ride India – Mahavir Group are the official India partners of the Italian luxury bike manufacturer. With this, the group becomes the exclusive distributor for Benelli products in India and plans on expanding its wings in the course of a year. By the end of March 2019, 25 dealerships will be added to the current count of 15 dealerships across the country. Becomes the First Superbike brand to offer 5-year unlimited kilometre warranty as standard. Hyderabad, 30th November 2018: Benelli, a leading worldwide manufacturer of premium bikes and Adishwar Auto Ride India – Mahavir Group, have recently become the exclusive distributor for Benelli products in India. The company, which currently has 15 dealers, is on a major expansion spree in India and aims to add another 25 dealers across the country by March 2019. Under the new partnership, the company is relaunching the Benelli TNT 300 and Benelli 302R at an introductory ex-showroom price of â¹3,50,000 and â¹3,70,000 respectively. The Benelli TNT 600i is priced at â¹6,20,000. The company is also offering 5-years of unlimited kilometre warranty as standard. Official bookings have begun across PAN India for a booking amount of â¹10,000 for all three models. Motorcycle aficionados will also witness the launch of the highly anticipated TRK 502 (Tourer) and TRK 502X (Adventure) models in India, in the first quarter of 2019. The TRK range will also mark Benelli’s entry into the mid-capacity adventure segment in India, proving its legacy and unwavering philosophy of delivering high quality products at competitive prices. The revised service intervals from every 4000 km or 4 months of periodic service to 6000 km or 6 months of periodic service, has helped reduce the service cost by up to 34%. The benefit is not only applicable to new but also existing customers owning the following Benelli superbikes - TNT25, TNT 300, 302R, TNT 600i, TNT 600GT, TNT 899 and TNT R.
The company aims to remain focused on customer service and will continue to connect with riders, to improve after-sales experience across all the existing and upcoming Dealership network.